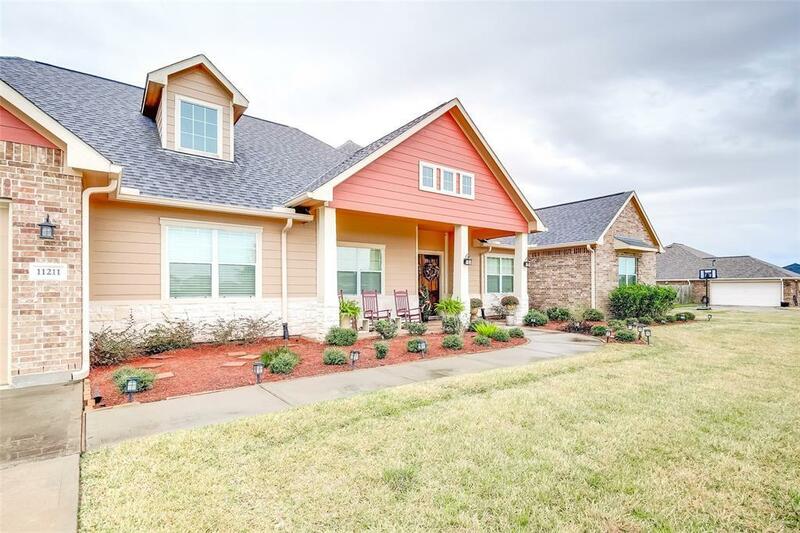 Gorgeous Custom built 1 STORY home on +/- half acre, showcasing 4 Bedrooms, (2 master Bedrooms), oversized secondary rooms, game room, and office. 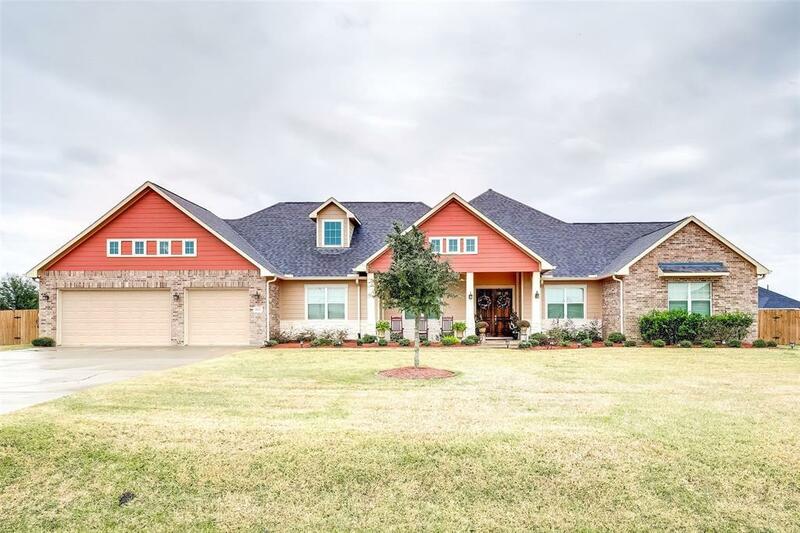 This wonderful home is 3974sqft Loaded w/ features throughout. Enter to high ceilings with crown molding, real wood cabinets w/granite, double ovens, gas cooktop, island kitchen & butlers pantry. All appliances are Kitchen Aide. Living room features built-in book case/with wood floors. Utility closet has additional hook up for refrigerator. This 3 car garage also includes a storage building inside that has access from the garage and outside. Backyard is large and spacious w/ added sprinkler system to keep the grass green and lush. The large covered patio & salt water POOL make this home ideal for relaxing and entertaining! 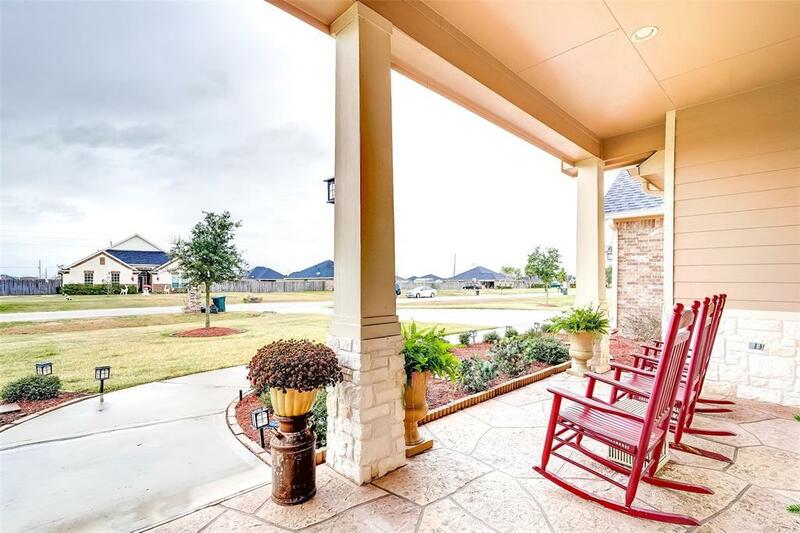 Very quiet country neighborhood, close to Highly Rated Needville Secondary Schools, and only 15 mins to Brazos Town Center! 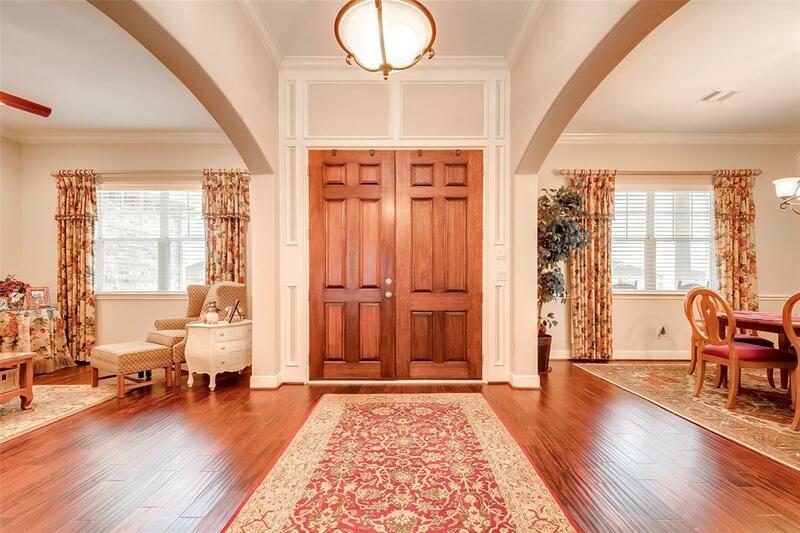 This home will truly WOW you! Call and schedule TODAY!